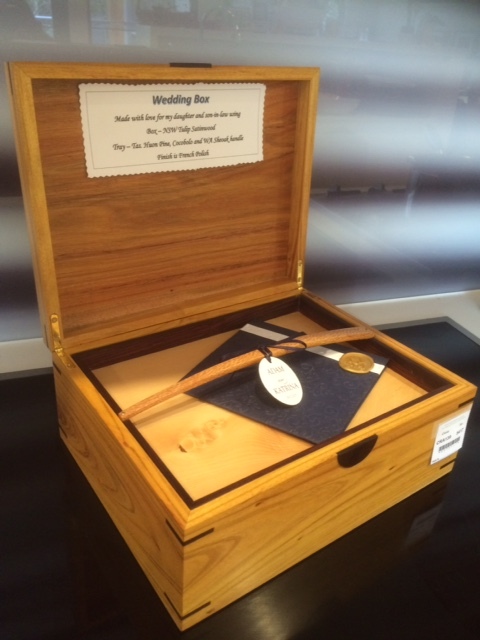 I am exhibiting my new “Journeyman’s Chest” at the ALUMNI 2 EXHIBITION @ STURT from 17 Feb until 7 April. This piece is made of Golden Teak, Brazilian walnut, brass and leather. I am again teaching the foundation term @ Sturt this year so classes will resume @ Drummond, the week starting 22nd of April. Also May & June intensives are now full also December 2019. We will open the diary for 2020 soon!! Don’t miss the ALUMNI 2 EXHIBITION @ STURT from 17 Feb until 7 April, or the Tools & Techniques Weekend where I will be presenting! See below for details! ALUMNI 2 – new work by selected graduates from Sturt School for Wood 2006-2016. 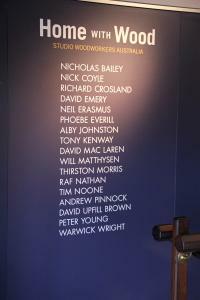 The exhibition opens Sunday 17 February at 11am – all are invited. 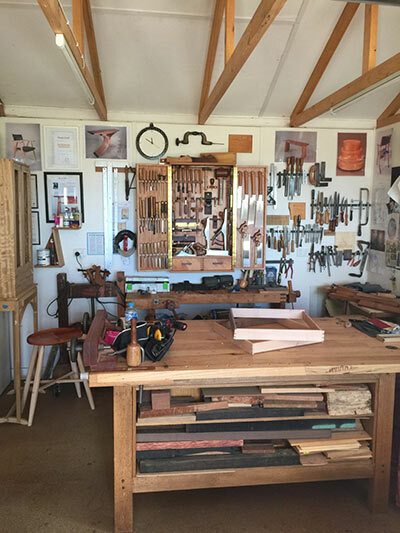 The Sturt School for Wood was established in 1985 as an intensive training place for aspiring fine furniture makers and designers. 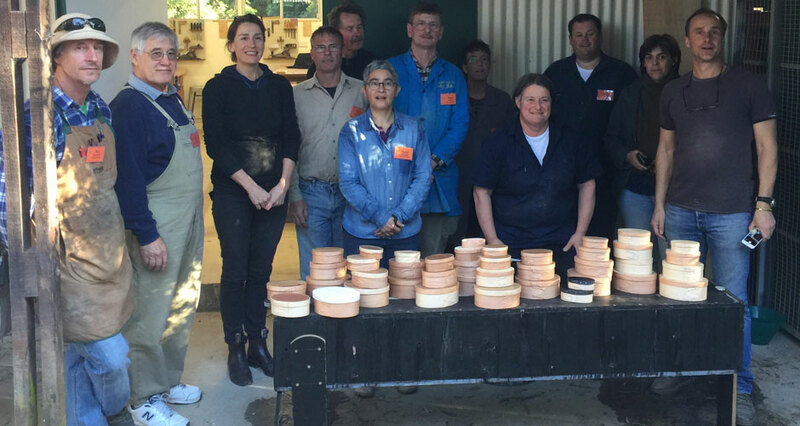 Over 30 years later the school has built a national and international reputation offering an unrivalled course taught by some of the best fine furniture makers and teachers working in Australia and overseas. In this follow up exhibition to our first Alumni exhibition staged in 2017 we will showcase makers who graduated from Sturt in the period 2006 to 2016, a time when the school began to establish a national reputation for the quality of the makers it produced. The exhibition opening during Sturt’s Tools & Techniques Weekend will take place on Sunday 17 February at 11am. The exhibition will be opened by special guest Raymond Scott, Director of Workshopped. 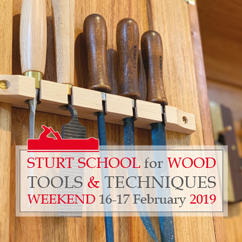 This annual boutique event includes displays and sales by Australia’s finest toolmakers and specialist timber suppliers in the historic Sturt School for Wood. 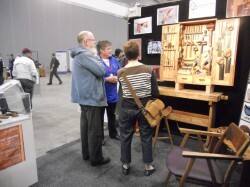 Also features scheduled woodwork demonstrations conducted by leading furniture makers. Food & drink available on site, free admission and parking. 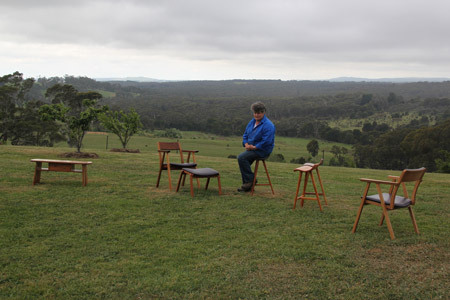 Studio Furniture 18 at Bungendore Woodworks Gallery just out of Canberra, ACT is on this weekend coinciding with the Wood Dust event. Here’s my brand new chaise which is on display… Get in and have a look… the work is amazing!!! I will be teaching @ Sturt for the 1st term of 2019, classes will resume @ Drummond after Easter! Fringe Furniture 2018 at the Convent in Abbotsford Melbourne opened on the 13th of September. Here are some of my pieces on show. Get in and have a look… the work is amazing!!! 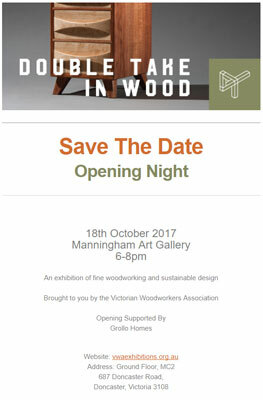 Studio Furniture 18 at Bungendore Woodworks Gallery just out of Canberra, ACT opening on the 20th of October, coincides with the Wood Dust event. Alumni II at the Sturt Gallery, Mittagong NSW opening on the 16th of Feb 2019, coincides with the Tools and Techniques tool event. Busy day filming in the workshop, thanks Shelton Muller!! My new tool making course as an option for a 5 day intensive! 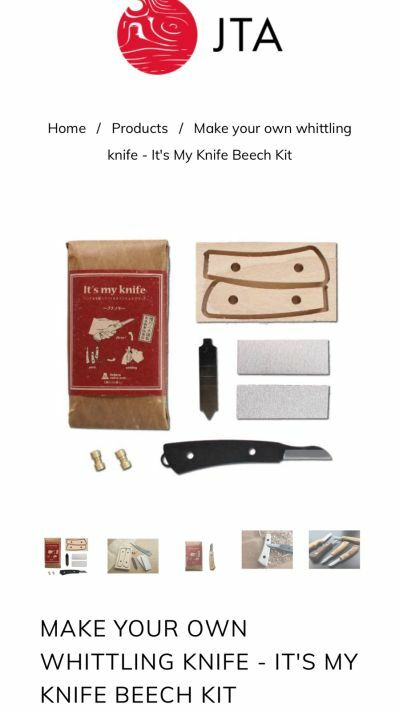 Includes HNT Gordon block plane, the Windsor workshop spokeshave both in kit format and then a Krenov style smoother with a Hock blade set. Then to help you set these beauties a timber mallet. Great tools awesome fun to make!! 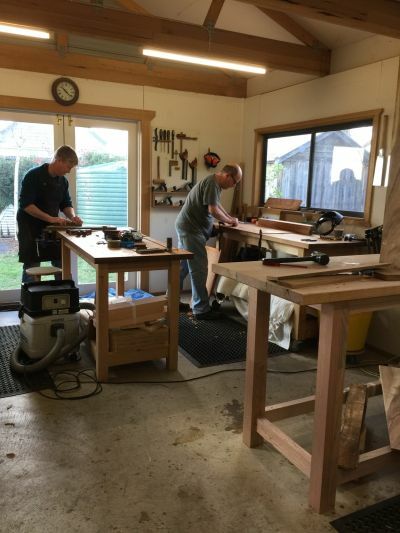 Paul and Clinton hard at work in the recent May intensive.September intensive is now fully booked, I still have spaces available in the August, October and 1 for December. 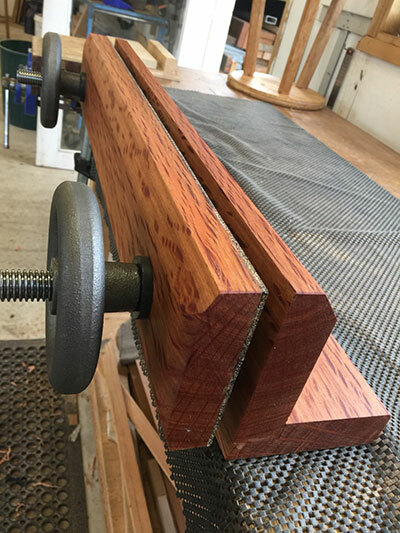 I now have stock of the Moxon vice hardware from Benchcrafted, we are using either ironbark or jarrah for the timber sections. I have added this lovely whittling knife to the options that students can choose to do from JTA Australia! Classes start again tomorrow, while I was at Sturt, I made new doors for my tool cabinet, here it is fully loaded!! May and July intensive are fully booked!! 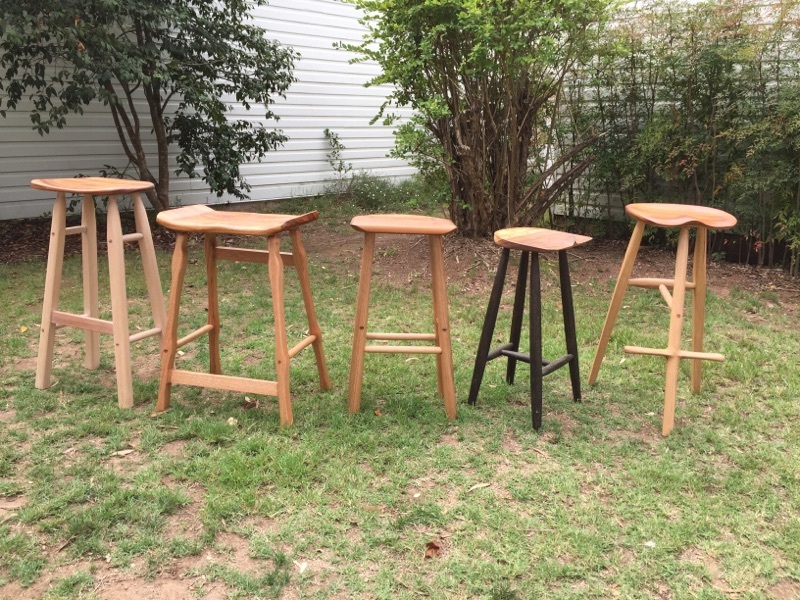 A sample of the students stools @ Sturt, now they are making their tool cabinets!!! 3 more weeks teaching here!! The December intensive is full as is the first course in Jan 2018, the second course starting on the 15th has 2 places available. I am contracted to teach at Sturt for the 1st term next year so all classes @ Drummond are on hold until the end of April. 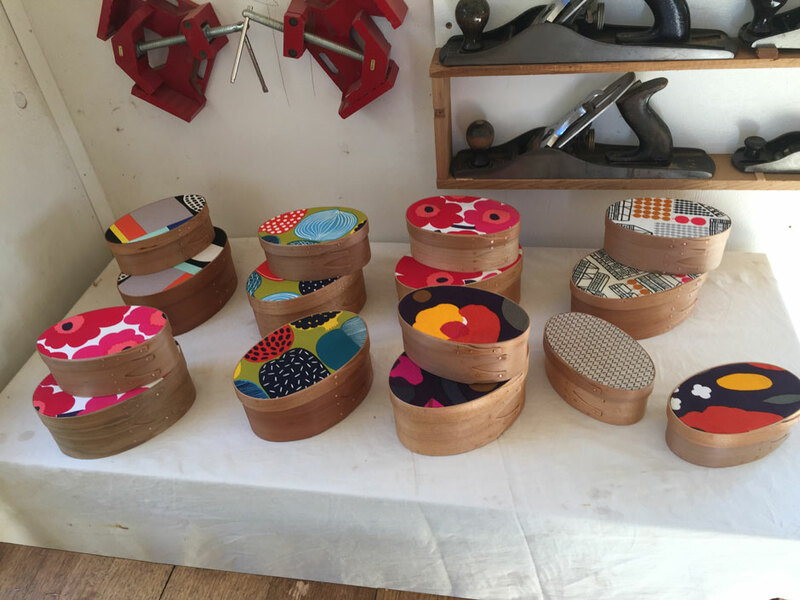 My Shaker boxes off to the Artisans market @ Sturt for next Thursday night. Reuben exemplifies everything we would wish to see in an emerging maker, committment to his skills and the craft and also an outstanding passion and talent. We are thrilled to have our generous sponsors on board as they make not only the most exquisite tools but give back to the woodworking community with gifts such as these. 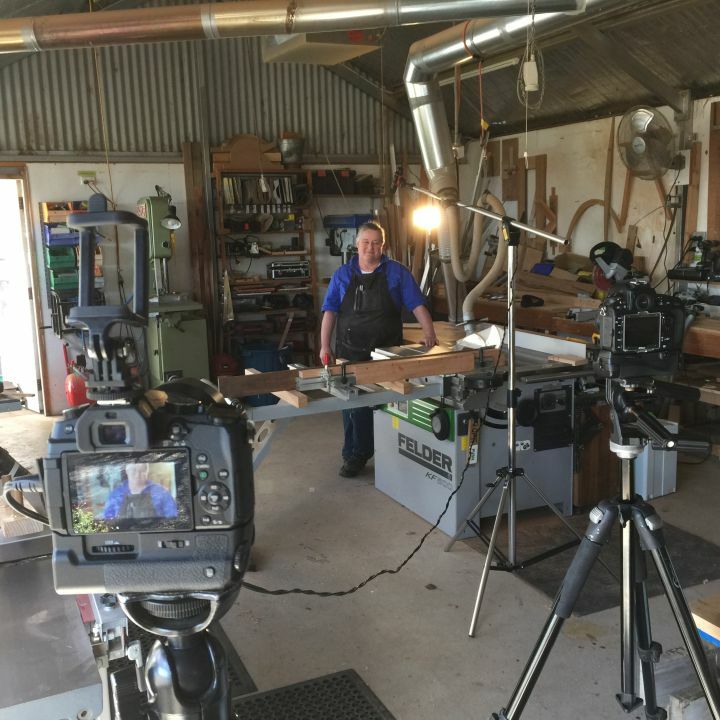 I have recently been working with Timbecon to put together a range of instructional woodworking videos! I now have a new page on my site where you can view them all…Check it out here! 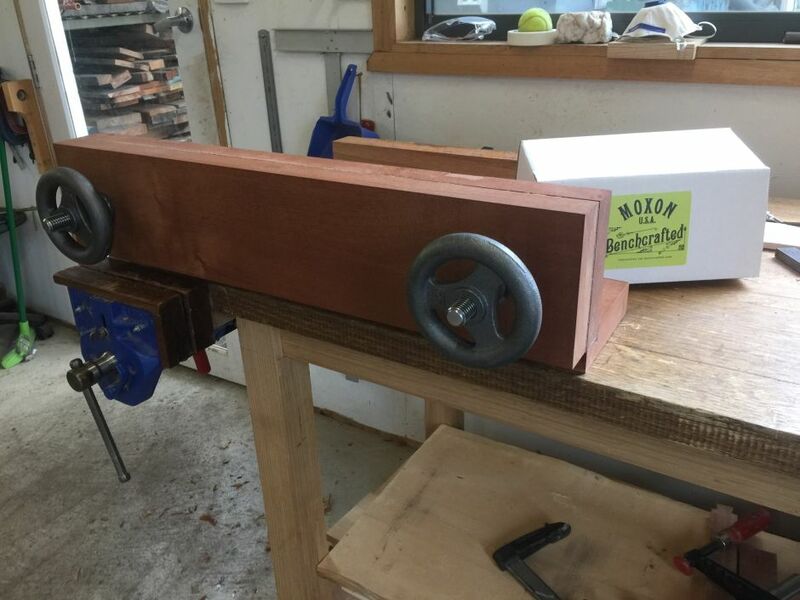 My new Moxon vice in bull oak, a new add on for the workbench course! !I finish teaching at Sturt at the end of this month, weekly classes resume in the first week of October!! We made 50 steam bent Shaker boxes this weekend at Sturt !! The happy crew with their booty!!! 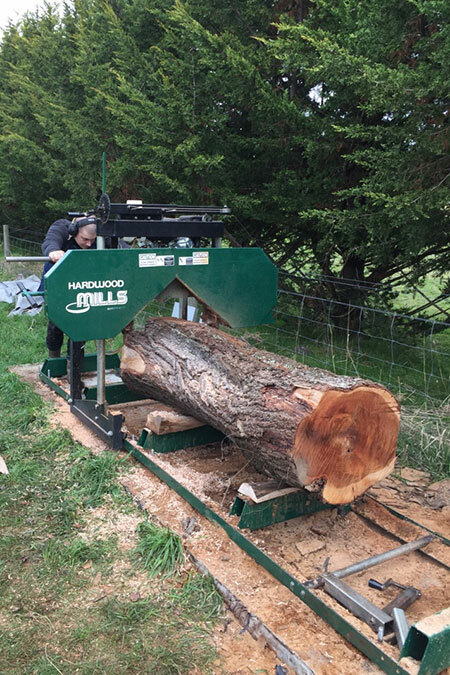 H and I have been very busy moving more Blackwood logs up from the creek for milling and drying ready for furniture!! Gorgeous storm fallen logs from 2014, can’t wait to see what we have!! Bailey also on the mill getting next years timber ready! Workbench for Lise.. Number 30 made in the school! Going on to help make furniture dreams become reality. Both January classes full, also Feb and March, plenty of spaces for April onwards. 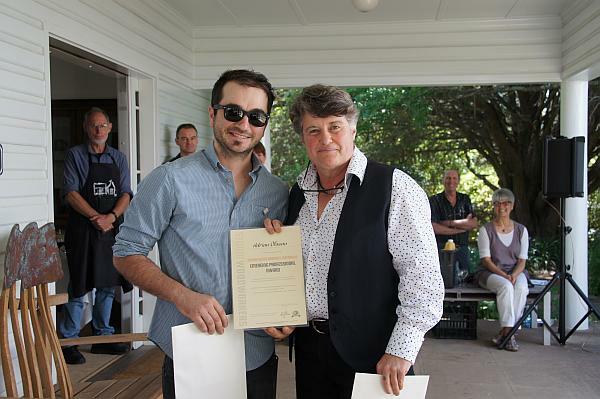 Bailey Farmer who recently graduated from Sturt will be joining me part time to work on both my own projects and his. I am thrilled to be part of this young makers journey. Article in Lifestyle Magazine. “A love and respect for timber”. Writing and photographs by Amy Hume. 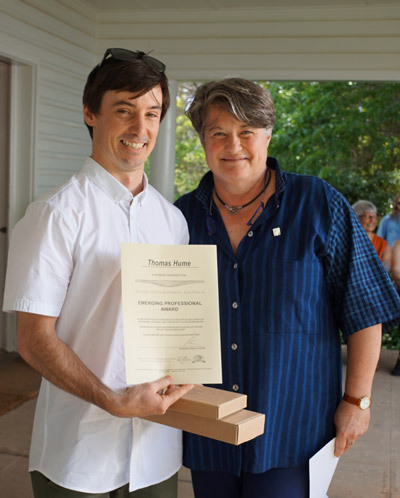 I was privileged to present the SWA Emerging Professional Award to Thomas Hume at the 2016 Sturt Graduation. I will be at the Melbourne Timber show at Caulfield Racecourse this Friday 9 till Sunday 11th September, please come and have a chat! September 26 -30 intensive is full as is Jan 9-13 2017. I have opened up a December week 5 – 9 and a second week in January 16 – 20, 2017. I will be teaching a 10 week term at Sturt next year July10 to September 9, 2017, so no weekly classes or intensives at Drummond in that period. The Treecycle exhibition was a terrific success (see images), everything sold and orders taken!! 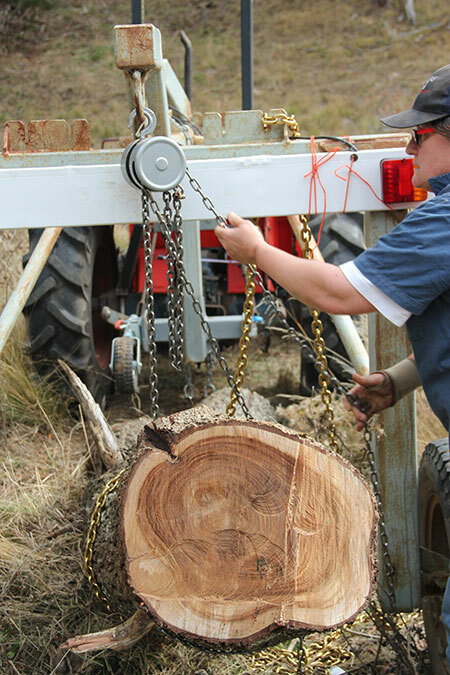 The segment focuses on my relationship with the Blackwood (Acacia Melanoxylon), that grows on our property at Drummond and its path from tree to furniture. The crew from Gardening Australia was at Drummond filming in late Oct last year for a segment which will be aired this coming weekend. 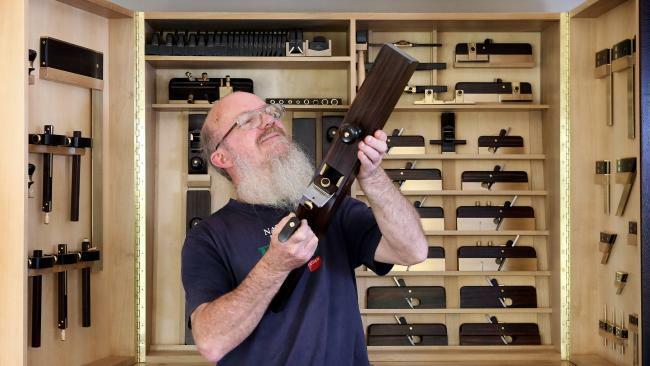 Their latest project, Collaboration One, is a set of 73 tools — 50 of Gordon’s planes and 23 of Clenton’s gauges and squares — all meticulously fashioned from brass and ebony cut from a single tree. Housed in a display cabinet of Tasmanian sassafras with black heart inlay created by maker Phoebe Everill, it is on display at Sturt Australian Craft & Design Centre, Mittagong, NSW with a price tag of $59,400. 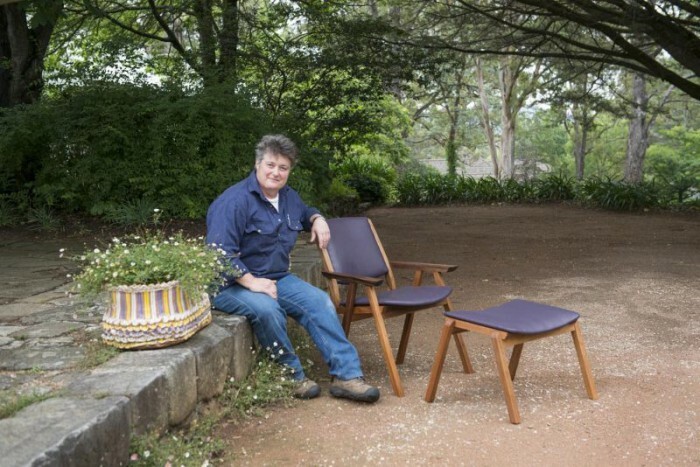 “This is the first time this has been done in Australia; a cabinet, and a full set of both these makers’ tools made from the one tree,” says Everill, the president of Studio Woodworkers Australia, who runs a furniture-making school in Drummond, 100km northwest of Melbourne. 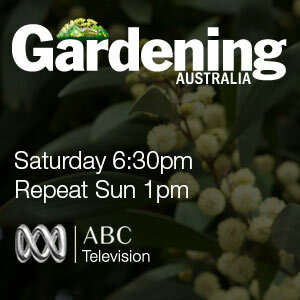 Feature on Gardening Australia! To be aired on the ABC in 2016. The crew from Gardening Australia was at Drummond filming in late Oct for a segment which will be aired in the New Year dates available as soon as I get them. Below are a couple of shots from the day, and 2 pieces designed and made for the ABC shoot. 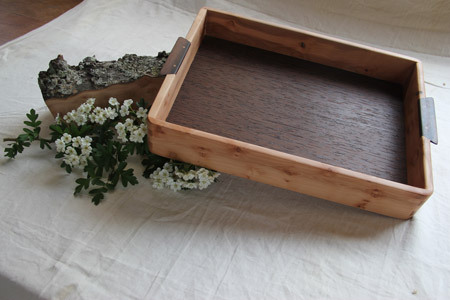 The brief was to make an item from a tree species that is really considered a weed in our area the hawthorn, gorgeous timber only available in small sizes. 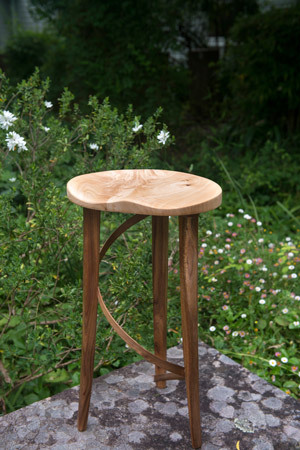 The stool is my take on the ‘perch’ stool made from the fabulous blue flowering garden tree jacaranda and my own blackwood grown, milled and steam bent on site. 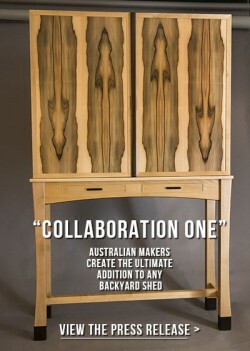 VALUED at $59,400, Collaboration One is not a tool cabinet made for just any old backyard shed. 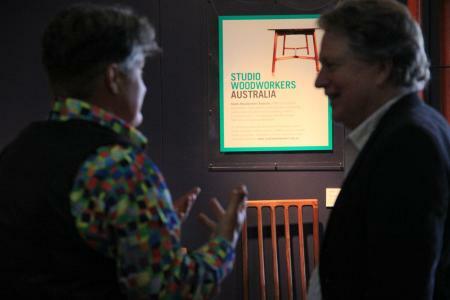 But, for a time, the cabinet and its contents are just made for Sturt’s design centre in Mittagong. Described as “the ultimate wood-lover’s fantasy”, the handcrafted cabinet houses 74 handcrafted tools. Its tools were crafted by Terry Gordon and Colen Clenton, and its cabinet by Phoebe Everill. Fine furniture maker Phoebe Everill has helped create the ultimate wood lovers’ fantasy. 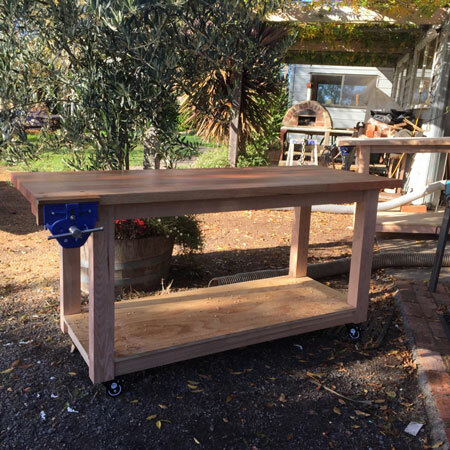 Ms Everill, who runs her School for Wood near Daylesford, spent two months meticulously designing and building a display cabinet for a set of 74 handmade tools constructed by two of the world’s leading tool makers. The result? An expected price tag of $59,400. 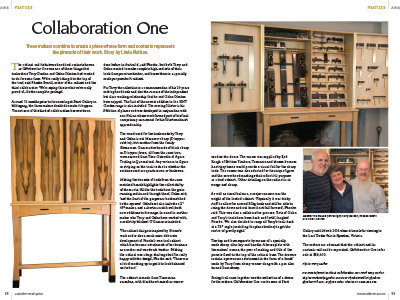 ‘Collaboration One’ is the ultimate wood lovers’ fantasy, a set of 74 handmade tools, meticulously constructed by two of the world’s leading tool makers – Terry Gordon of HNT Gordon and Colen Clenton – and housed in a stunning display cabinet by fine furniture maker Phoebe Everill. As all the intensive courses are full this year, I have opened up another Jan intensive for 2016, so there are spaces available in the week starting Monday 4 to Friday 8th Jan 2016. Also, I will be closing the school here at Drummond for the first term of 2016 to allow me to teach the foundation term of the Cert IV course at Sturt, Re-opening after Easter. For details see the Sturt website. I am currently working on a collaborative project with Australia’s finest tool makers Terry Gordon and Colen Clenton, we are doing a ‘Collectors Tool Cabinet’ fitted out with full sets of tools in spectacular timber, photos soon!! 5 day intensives are filling fast and the last one available for this year is Sept/Oct then the next will be in January 2016. Due to the demand for intensives I have added Fridays to the list for 2 students only, so effectively every week now has a single day ‘intensive’. Check out the gallery of student work on the school page these are just a few of the amazing projects we have completed in this first 2 years of operation. I am speaking at the VWA meeting on the 24th of June, and also continung to do instore demonstrations for Carbatec Melbourne on a regular basis. 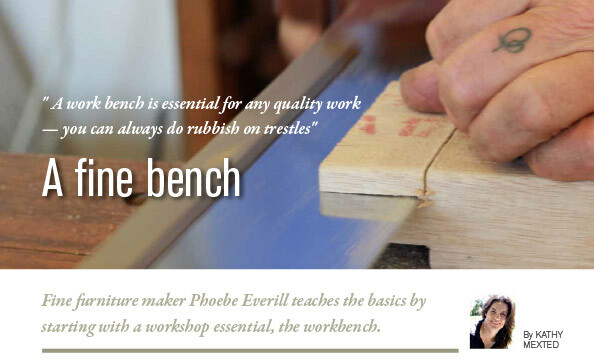 Fine furniture maker Phoebe Everill teaches the basics by starting with a workshop essential, the workbench. I have built a new classroom to accommodate the growing numbers of students… sneak peek below, but more images coming soon after a whole new shoot! I am teaching at Sturt for the next 2 weeks finishing students off ready for exhibition. I have just been part of the Timber and Working with Wood show talking to hundreds of people about next years classes and workshops which will be finalised very soon! Keep your eyes out! 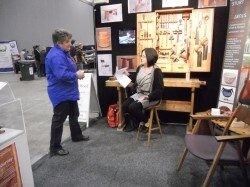 I will be participating in “The Timber and Working with Wood Show” October 24-26th, Melb Exhibition Centre at Docklands. Building has started for a new large dedicated classroom on site which will be ready for next term. Once I have this space available I will be bringing in specialist teachers to run a series of short courses for me in 2015 (more soon on that one), and using it for both weekly and intensive students. Next term teaching starts on Tuesday 7th October. My next intensive week will be Monday 10th of November till Friday 14th. Third-generation wood-worker Phoebe Everill offers weekly classes for beginners to intermediate that provide a grounding in fine woodworking. 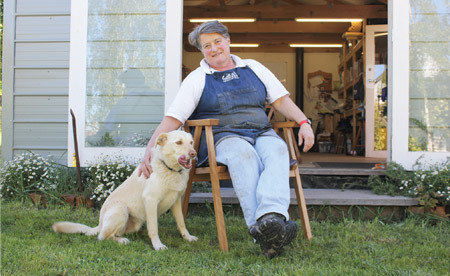 Studio Woodworkers of Australia director and chairperson, Phoebe Everill, is one of the few women today successfully carving out a living from making and designing fine furniture. 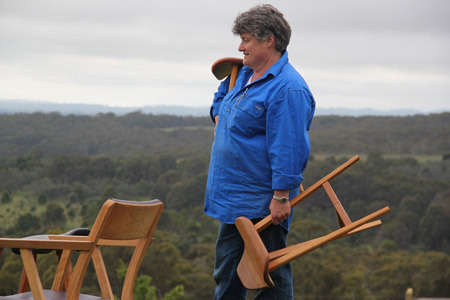 The opening of her own furniture-making school near Drummond, in central Victoria, is the culmination of a lifelong passion, driven by her desire to teach others of timber’s inherent beauty and how to make it sing. I will be exhibiting at the SWA exhibition at Bungendore Woodworks Gallery in September. Upcoming articles in The Age, more details as I get them. 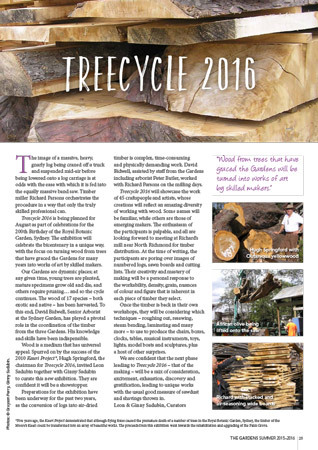 Article in Australian Wood Review, March edition no 82. “From Metres to Millimetres” – Story by Linda Nathan. 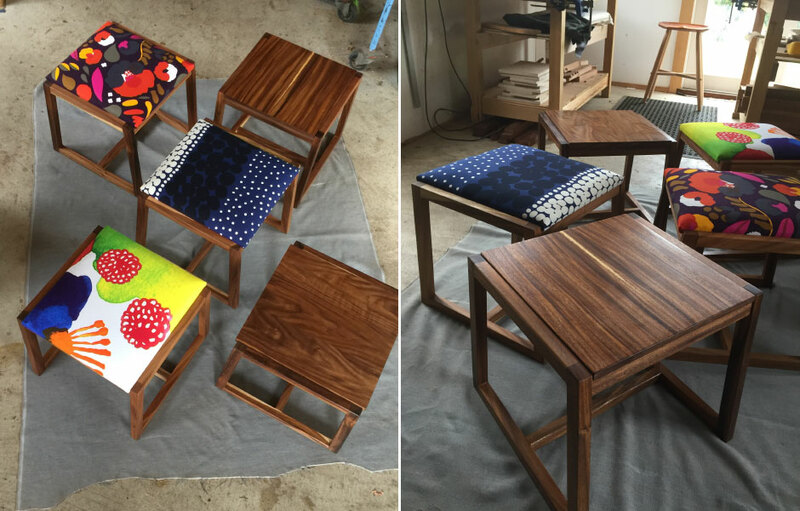 Moving from building and carpentry into furniture making took Phoebe Everill to a much finer place. Phoebe Everill doesn’t do quiet and reserved. She laughs loud and often, and it’s easy to instantly like her. Fifteen years as a chippie and a builder, mostly as the leader of her own team, are explained by the confidence she exudes — this is a person who can get things done. 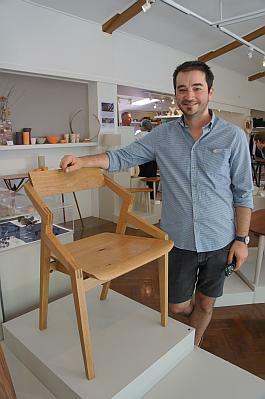 I have recently been elected to the Chair of Studio Woodworkers Australia which is the peak body representing Australia’s professional maker/designers in wood. See www.studiowoodworkers.org.au for more details. I will be demonstrating at Sturt on the weekend of 22nd/23rd of February at their annual Tools and Techniques weekend. Upcoming articles in Australian Wood Review (March edition) and The Australian newspaper Arts section, more details as I get them. Extending the range of Winton chairs with a low arm recliner and a foot stool. View images. 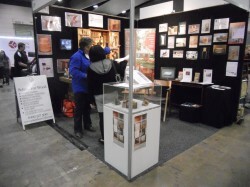 Successful stand at the Timber & Working with Wood show. Upcoming article on my work and the school in Australian Wood Review. Added Sat pm class to keep up with demand. A lot has been going on over the past few months! 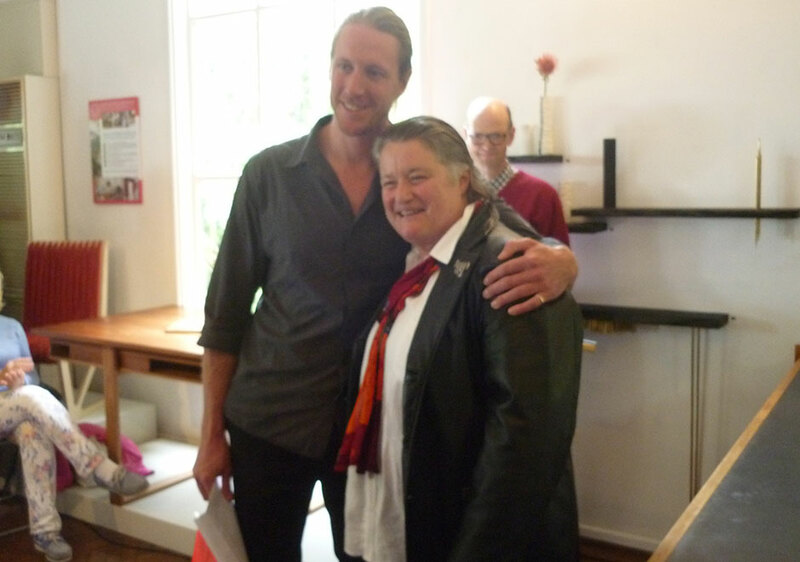 Phoebe Everill is now an Accredited Member of Studio Woodworkers Australia. 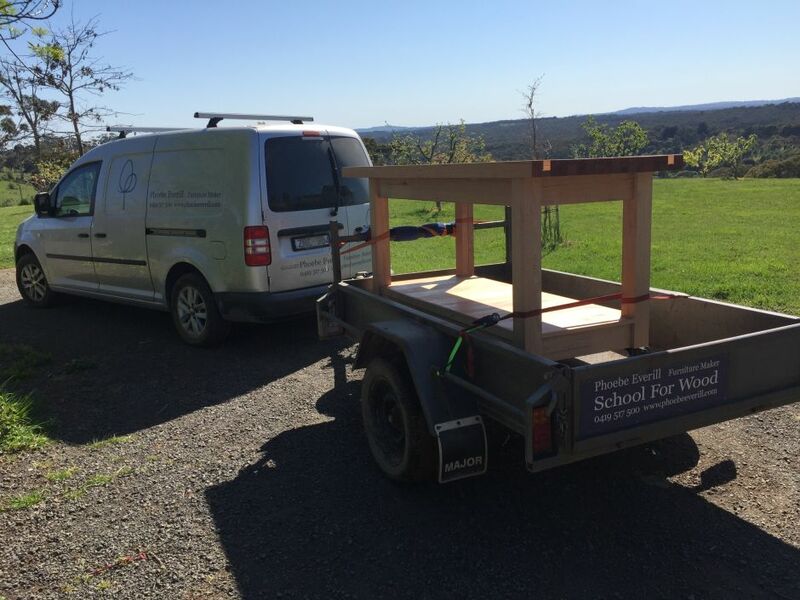 She will also be teaching the cert IV course at Sturt School for Wood for the first 3 weeks in September which is a Stool- Design and Prototype. Finally, due to increasing demand, extra classes have been added – Weekly classes now available: Tuesdays & Thursdays 9-12pm, 1-4pm and Sat 9-12pm. Other times by appt. Check back here regularly for periodical updates and exciting news. 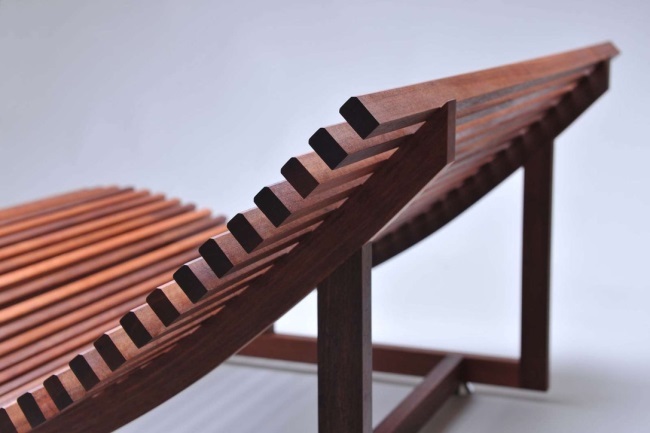 The world of furniture making and Design is ever changing and evolving. 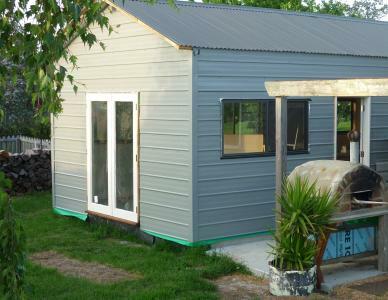 Phoebe Everill, the only woman on this year’s course, operated a carpentry and renovations business from her property outside Daylesford, Victoria, for 20 years. 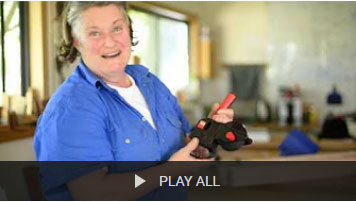 She did the 12-week woodwork course at Sturt last year. “Sturt, for me, was about walking into galleries all my adult life, looking at beautifully made pieces of furniture and thinking, ‘I want to learn to make to that level, I want to go there,’ ” she says.